Easy ways to be Eco Friendly! Happy Earth Day everyone! I hope that you're having a great day. I wanted to share some everyday things I do to try to use less energy and waste fewer things that if everyone did would make a really big impact. This is an important subject matter so I thought I'd share some with you! 1 - Reusable bags - I like these for grocery shopping and these are great for the produce section so you aren't constantly getting those plastic bags. 2 - Recycle - Recycle all the plastic and glass you can. I always try to clean things out and recycle them. 3 - Donate your old clothes and items - I'm constantly dropping things off at Goodwill, if I can't use it I'm sure someone else can! 4 - H&M drop off - H&M will donate your clothes for you and if you have items that have holes they will recycle them and turn them into new clothes! 5 - Buying things that last longer - This helps to just reduce things overall, when you are buying less there is less of a demand and products being wasted. 6 - Shorter showers - Reducing your shower by 2 minutes saves about 40 gallons of water a week! 7 - Madewell Jeans - If you drop off old jeans at Madewell, no matter the brand they will recycle them and use them for housing installation! 8 - Buying products that are responsibly sourced - I think this one speaks for itself. 9 - Combining trips - This waste less gas and makes things easier on you! 10 - Reusing Shopping bags - Don't throw these out! There are plenty of use for them, even if its just using them as trash bags. 11 - Water bottles - Getting water bottles you can reuse really helps! When you buy plastic water bottles you actually cant reuse them much because the plastic breaks down and toxins can get into the water you're drinking. 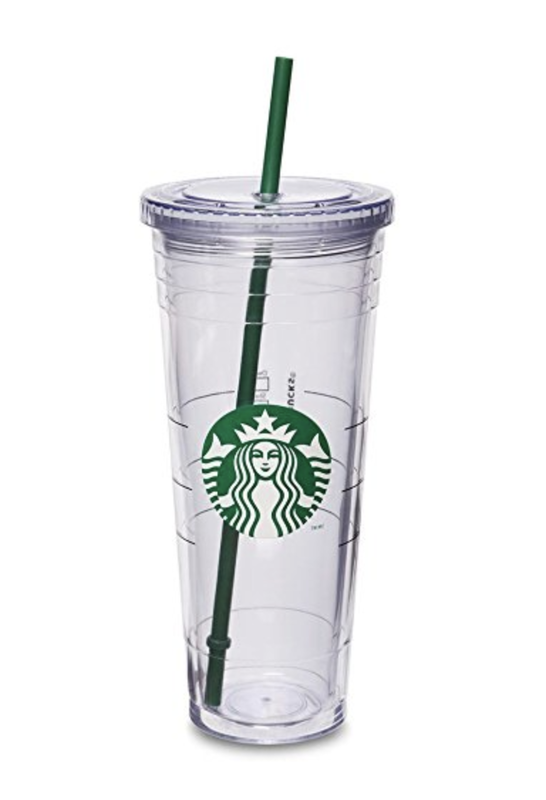 You can get this glass bottle for all your Starbucks runs and they will give money off your order! 12 - Glass containers - Glass is better than plastic if you can swap them out anywhere! 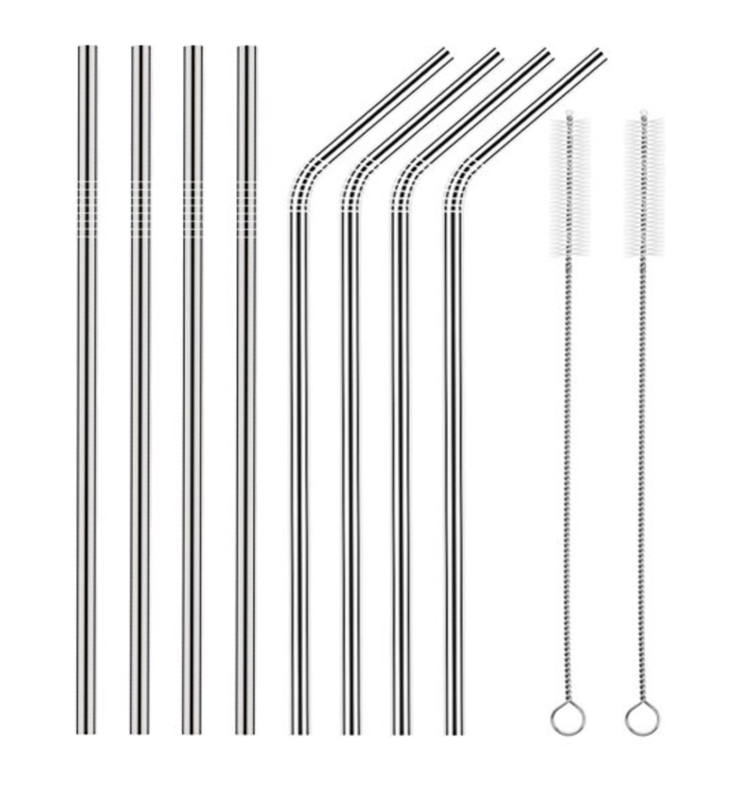 13 - Metal Straws - Straws actually create a lot of waste and metal straws can be used over and over. I like these. 14 - Waiting to replace items - I found myself replacing things too quickly and bottles were piling up on me. It was wasteful and I need to wait until I'm truly running out! 15 - Nature-friendly Beauty products - One reason I really like Love Beauty & Planet is that their products are naturally sourced but they also use less plastic. 16 - Meatless Monday - It takes 2,500 gallons of water to process 1 lb of meat. Going meatless one day really makes an overall impact and its fun to try new recipes! 17 - Turn your air 1 degree lower - This can save you on your energy bill and just uses less! In all reality, 1 degree shouldn't make too big of in a difference in what you feel but overall will have a bigger impact. 18 - Go a few hours without electricity a week - Its fun to get out and do different things or just even read a book. But this makes a big impact and if you unplug things it helps to not have a constant low volume of electricity being used. 19 - Collect your food scraps - Find some way to compost this if possible! I will really cut down on waste and I know that farmer could use this or you can make really nutrient heavy soil! 20 - Houseplants - Planting trees or just getting houseplants help to purify the air. I like to try to walk to local places and support businesses that give back. There are really small changes we can all make without even affecting our every day that will make a big impact! What are some tips & tricks you have? I'd love to hear! Remember: Reduce, Reuse, Recycle!